Our Cyber Monday Deals Last All Week Long! Our Cyber Monday deals last all week long. Check back each day for new merchandise. 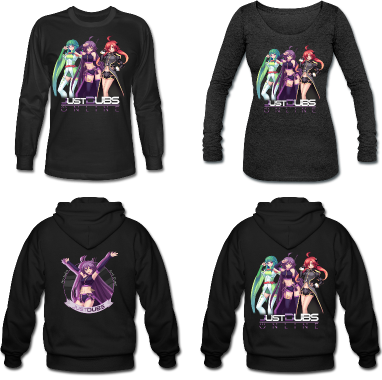 Today, get our first ever JustDubs long sleeve shirts. And our brand new zip-up hoodies. There's two of each to choose from.